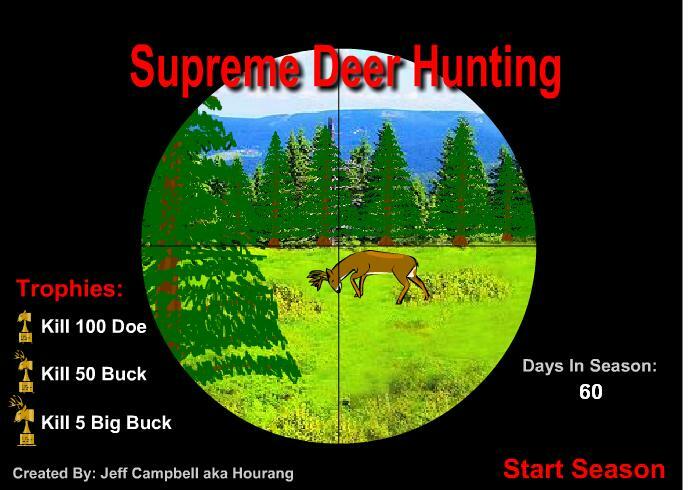 Play free Supreme Deer Hunting Online games. Use the mouse to shoot. Space to reload. 'S' to Switch Sights. Realistic shooting with range, weapon accuracy, etc. Trophies for reaching certain goals. Get the Highest score for the deer hunting 60 day season.